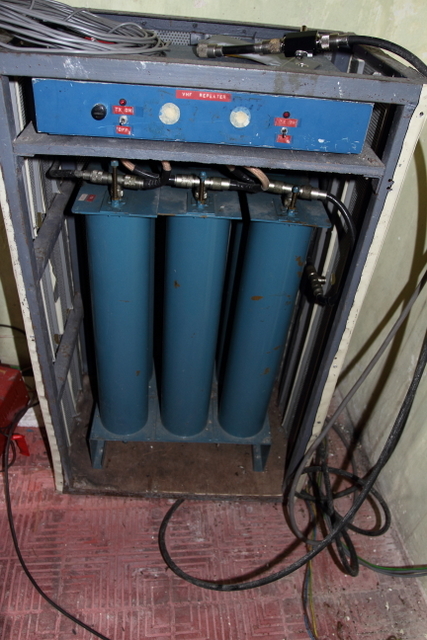 The Yatiyantota repeater which is on 145.625/025 is the RSSL’s mainstay and serves the Amateur Radio Community very well. See also the coverage map. This was a gift to the RSSL from the Italian radio operator group and 4S7PVR/G0USK was instrumental in getting it for the RSSL. The repeater runs approximately 5 watts and is at a height of 4150 feet above sea level at the ITN transmitting station in Yatoyantota. This site was originally a communications centre during WWII for Canadian forces. It has an excellent coverage to the main population centre and amateur concentration in Sri Lanka which is the Western Province, and also covers almost a third of the island. 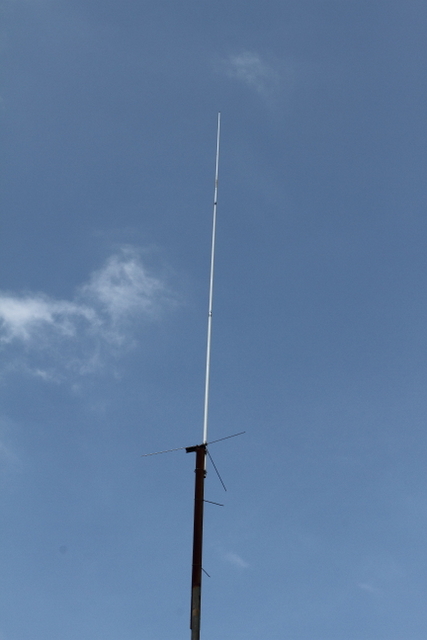 The antenna is a Diamond 3 section colinear.